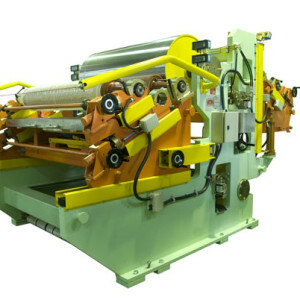 Bronx International designs and manufactures a range of high quality Coil Roll Coater Machines designed to meet specific customer requirements. These are included in Bronx coil coating lines or can be installed into existing coil coating lines. All Bronx coaters include many innovative features designed to ensure a safe working environment, ease of use for operators and minimum downtime for maintenance. This machine is the most basic of Roll Coater Machine designs. The strip travels horizontally through the centre of the machine, so this machine can be added to most line situations at minimal cost. It is used mostly for chemical applications but is also used for paint applications on smaller Paint Lines. 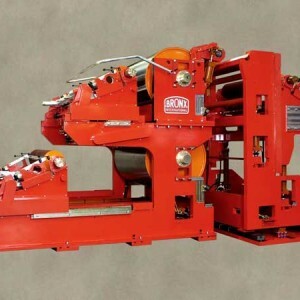 The S-Wrap Roll Coater Machine is the most popular machine used around the world. The main advantage of this machine is that the Top Head paints the strip as the strip is supported around a large diameter Back-Up Roll. This Back-Up Roll supports the strip and keeps it very flat so the painting process can be done very accurately. This machine provides very good operator access and visibility on both the top and bottom sides of the strip. The U-Wrap Roll Coater Machine is a modification of the S-Wrap Roll Coater Machine. It provides all the charactistics and benefits of the S-Wrap Roll Coater Machine but also provides the excellent advantage of being a ‘Quick Change Coater’. A Quick Change Roll Coater is a machine that has two painting Heads for the top side of the strip. While one Head is painting the strip, the second Head is being made ready. When it is time to change paint colour, the first Head is retracted off the strip and the second Head with a different colour is applied onto the strip. This eliminates the ‘down-time’ associated with changing paint. Once the second head is painting, the operator can now change the paint on the first Head and make it ready for another different colour whilst the line remains in full production. The C-Wrap Roll Coater is a modification of the S-Wrap Roll Coater Machine. It operates in a similar manner to the U-Wrap Coater Machine in that it is also a Quick Change Roll Coater. The main difference here is that the two Back-Up Rolls are positioned vertically above each other whereas in the U-Wrap Coater Machine, the Back-Up Rolls are positioned horizontally apart from each other. 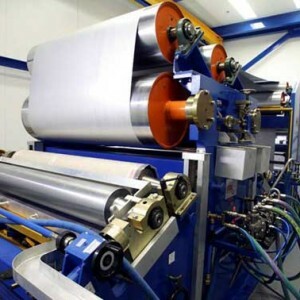 Whether a U-Wrap Machine or a C-Wrap Machine is used depends on the application area. The U-Wrap machine requires more space horizontally whereas the C-Wrap machine requires more space vertically. In both cases, the complete painting operation takes place in one room and this has good advantages for line manning and paint movement and storage logistics. The Vertical Roll Coater Machine has similar characteristics as the Horizontal Roll Coater Machine but in the Vertical machine the strip travels vertically upwards through the machine. This machine is mainly used for chemical applications on both Paint Lines and Galvanising Lines. Operator access is very good but there is no Back-U Roll to hold the strip perfectly flat. To achieve the advantage of the Quick Change Coater technology, but not use the U-Wrap or C-Wrap Coater Machines, an option is to use part of the S-Wrap Coater machine at ground floor level and then have a second S-Wrap Coater Machine on the mezzanine floor level directly above the first machine. One of the disadvantages of the C-Wrap and U-Wrap Quick Change Coater Machines is that they are physically quite large and require a larger than normal Coater Room. Having part of an S-Wrap machine on the ground floor and another S-Wrap machine on the mezzanine floor keeps the room sizes relatively smaller but now you have the disadvantage of two separate painting areas and this option is a more expensive option than a U-Wrap of C-Wrap option. In all cases, the Roll Coater Machine must be a very high quality machine as this machine needs to operate very accurately for the next 30-40 years. Galvanizing and Coil Coating Lines are our specialty.